Logitech today announced that its popular Slim Combo and Slim Folio Bluetooth keyboards have been updated with support for sixth-generation iPad, which means they're now available for Apple's most affordable tablet. The Slim Folio was previously available for the fifth-generation iPad and is also now compatible with the sixth-generation model, while the Slim Combo was previously limited to the iPad Pro. The new Slim Combo is compatible with both fifth and sixth-generation iPads. Priced at $100, the Slim Folio is designed to turn the iPad into a laptop replacement, with a lightweight design and well-spaced mechanical scissor keys, along with iOS shortcut keys. It also serves as a protective case for the iPad, keeping it safe from scratches, drops, and spills. There are two different viewing angles, so it can be used in a typing mode or a mode for watching videos and playing games, and the new version includes a holder for the Apple Pencil. The $120 Slim Combo offers similar features, but it has a detachable keyboard and an adjustable kickstand for more versatility. 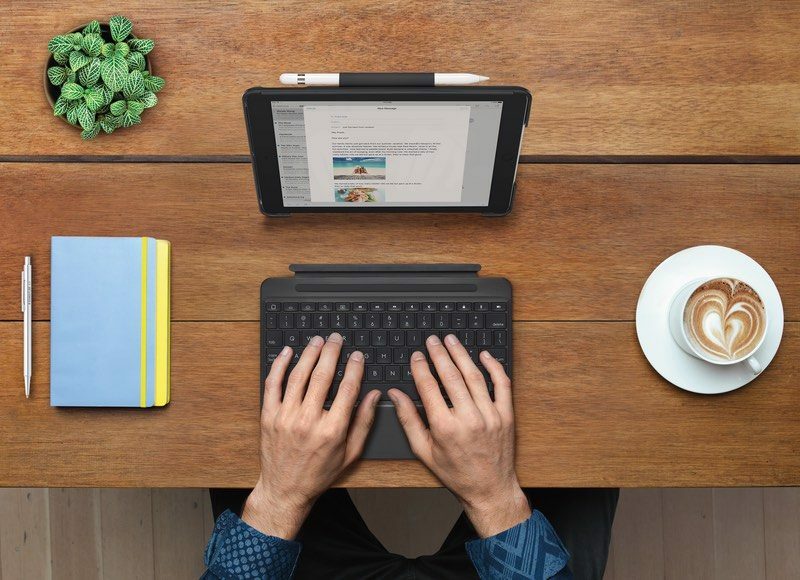 Like the Slim Folio, the Slim Combo is a lightweight Bluetooth keyboard case that lets you type anywhere. For the sixth-generation iPad, there is a built-in Apple Pencil holder to store an Apple Pencil when it's not in use, plus it comes with backlit keys. Unlike the iPad Pro version of the Slim Combo, which connects to an iPad Pro using the Smart Connector, the Slim Combo for iPad connects via Bluetooth. The Slim Combo and the Slim Folio can be purchased from the Logitech website starting today.